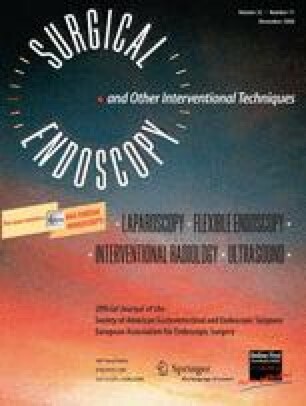 Is concomitant cholecystectomy necessary in obese patients undergoing laparoscopic gastric bypass surgery? Morbid obesity is associated with a high prevalence of cholecystopathy, and there is an increased risk of cholelithiasis during rapid weight loss following gastric bypass. In the era of open gastric bypass prophylactic cholecystectomy was advocated. However, routine cholecystectomy at laparoscopic gastric bypass is controversial. We performed a retrospective review of a prospectively maintained database of morbidly obese patients undergoing laparoscopic Roux-en-Y gastric bypass (LRYGB) from February 2000 to August 2006. All had routine preoperative biliary ultrasonography. Concomitant cholecystectomy at LRYGB was planned in patients with proven cholelithiasis and/or gallbladder polyp ≥1 cm diameter. 1711 LRYGBs were performed. Forty-two patients (2.5%) had a previous cholecystectomy and were excluded from further analysis. Two hundred and five patients (12%) had gallbladder pathology: cholelithiasis in 190 (93%), sludge in 14 (6.8%), and a 2 cm polyp in 1 (0.5%). One hundred and twenty-three patients with cholelithiasis (65%) had a concomitant cholecystectomy at LRYGB, while 68 (35.7%) did not. Of these, 123 (99%) were completed laparoscopically. Concomitant cholecystectomy added a mean operative time of 18 min (range 15–23 min). One patient developed an accessory biliary radicle leak requiring diagnostic laparoscopic transgastric endoscopic retrograde cholangiopancreatography (LTG-ERCP). Of the 68 patients with cholelithiasis who did not undergo cholecystectomy 12 (17.6%) required subsequent cholecystectomy. A further 4 patients with preoperative gallbladder sludge required cholecystectomy. All procedures were completed laparoscopically. One patient required laparoscopic choledochotomy and common bile duct exploration (CBDE) with stone retrieval. Eighty-eight patients (6%) with absence of preoperative gallbladder pathology developed symptomatic cholelithiasis after LRYGB; 69 (78.4%) underwent laparoscopic cholecystectomy; 3 presented with gallstone pancreatitis and 2 with obstructive jaundice, requiring laparoscopic transcystic CBDE in 4 and LTG-ERCP in one. In our experience, concomitant cholecystectomy at LRYGB for ultrasonography-confirmed gallbladder pathology is feasible and safe. It reduces the potential for future gallbladder-related morbidity, and the need for further surgery.